Friday again and today we have a tutorial from Cheremane. Once the Silkies has dried mat and layer your card stock onto pale blue and navy blue card stock. 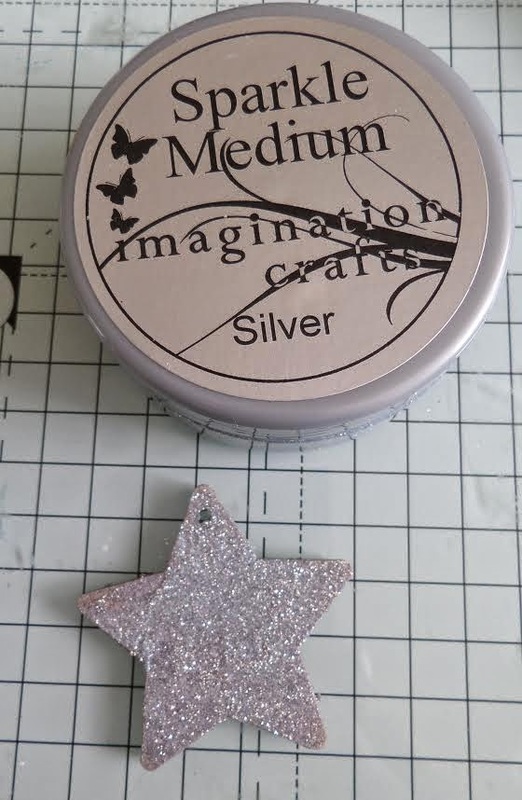 Cover the MDF star with Silver Sparkle Medium and leave to dry. You can speed up the drying time gently using your heat gun if you can't wait for the Sparkle Medium to dry naturally. 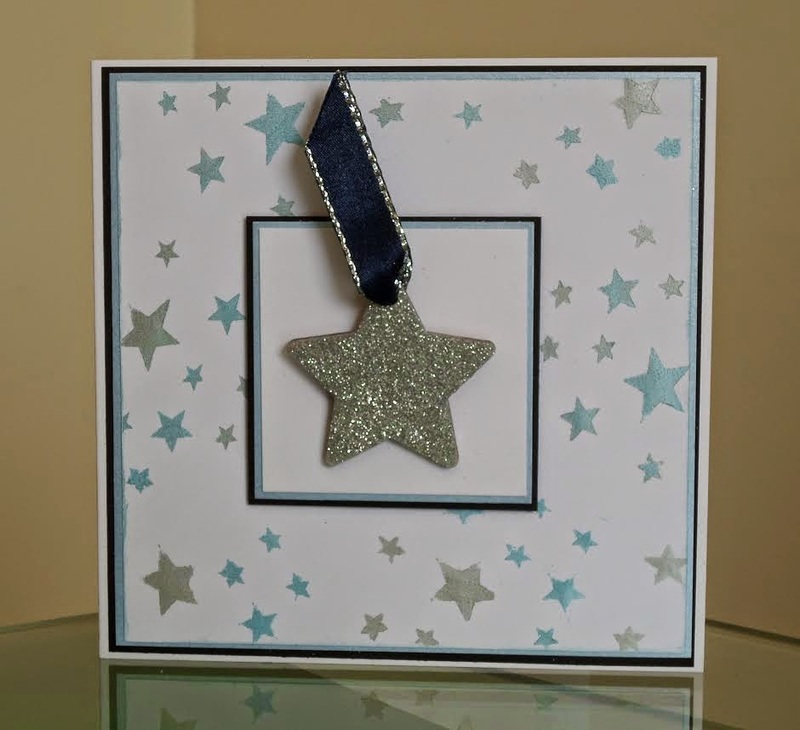 Once the Sparkle Medium is dry thread some ribbon through the hole on the MDF star and then attach star to your card stock with wet glue. You now have a card perfect for several different occasions. We hope you enjoyed today's Tutorial. Today we are sharing Jan's tutorial which is White on White. I don't know about you but I always end up getting a fingerprint on my finished piece. Stamp the bird of paradise around the edge of white card stock with Versamark and embossing with pearl embossing powder. Then distressed around the edges with Silver Silkies. Once sparkle medium is dry wrap white silky crush ribbon and make a big bow. Matt and layer the layers onto white scalloped square card, the topper with foam pads. In the centre of the bow add small white rose buds. Monday here again and we are into August, the past 7 months have gone so quickly. 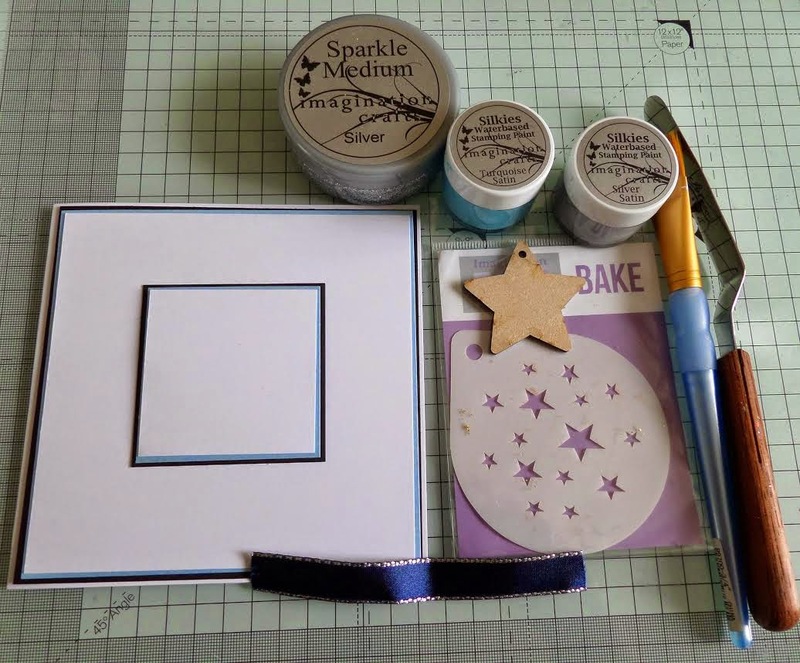 Today we are sharing with you Nicky's Tutorial. This is a window card using a sheet of backing paper, two toppers, acetate, tulle, Sparkle Medium and Bird Cages stencil. The first thing you need to do is position the backing paper and toppers onto the base of your card. On either side of the card place double sided tape, place the acetate over this, double sided tape to the acetate then layer the tulle over this. In this photograph you can see the tulle over the acetate. 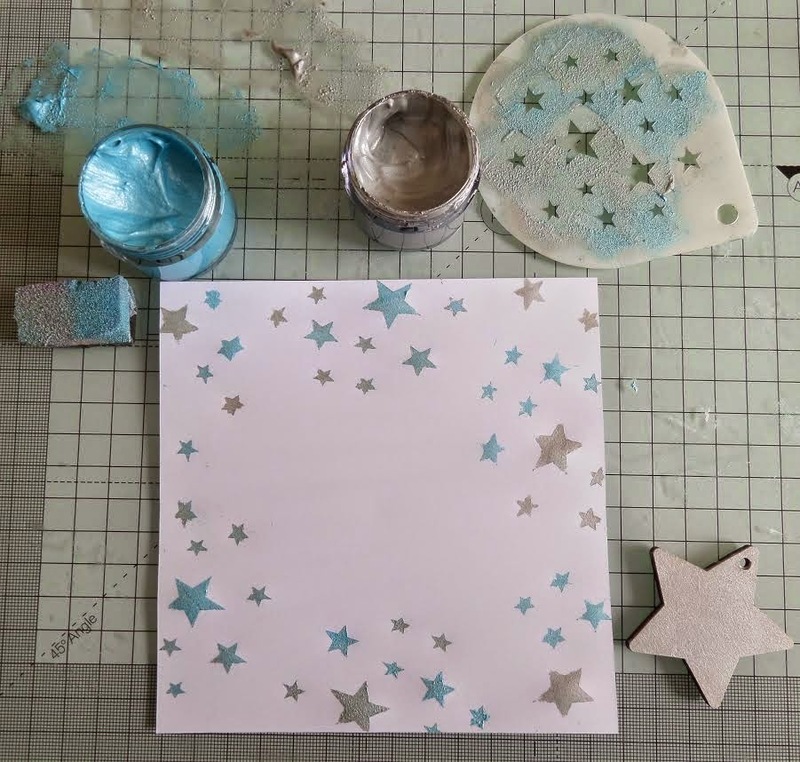 Position the stencil over your card and stencil with the sparkle medium. Once dried it should look like this. Using the stencil again continue stencilling the foliage across the top of the card. Add ribbon either side to conceal the double sided tape and decorate with pearls and embellishments from your stash.